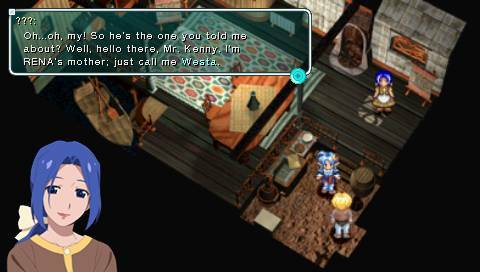 Nintendo and DeNA's partnership has seen much excitement within the mobile gaming community. First was Miitomo, a free social networking app starring Nintendo's Miis, then was the phenomenon that rekindled the love of the series for many people with Pokemon Go, and now it's Mario's turn with Super Mario Run. A lot of bickering has gone on regarding the price, but how is the actual game? That's what this in-depth SuperPhillip Central review intends to find out. 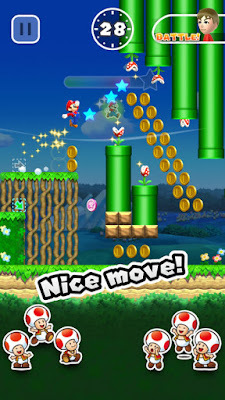 Mario goes mobile with much success. Nintendo's pursuits in mobile have seen a lot of hype from consumers and some ire from more engaged gamers. Late and great Nintendo president Satoru Iwata came to terms with putting the company's franchises on mobile for two main reasons: 1) To add an extra stream of revenue for the company, and 2) To expand Nintendo's franchises to new audiences, perhaps getting them interested in Nintendo hardware and software. For the latter, this has come true, as seen with Pokemon GO and the increased interest and sales in Pokemon games on the Nintendo 3DS. Now, it's Nintendo's-- and the gaming industry in general's biggest star's chance to shine with Super Mario Run. 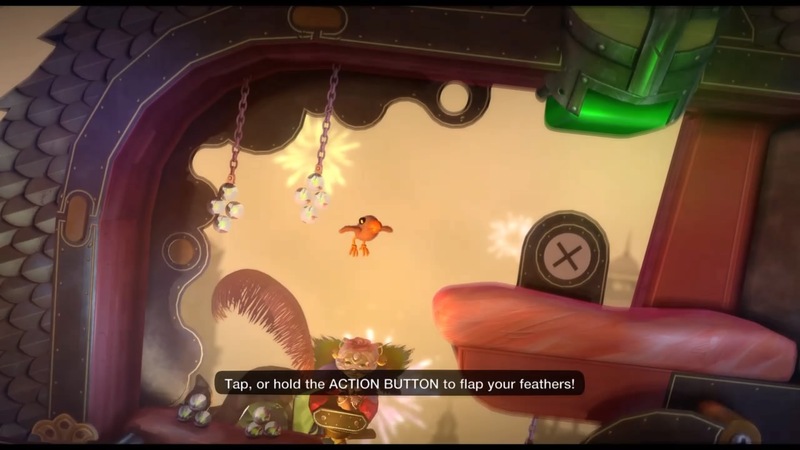 With it, Nintendo has successfully taken the traditional Mario experience and retooled it almost perfectly to mobile. 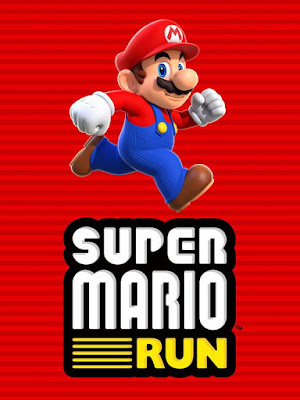 Super Mario Run is an automatic runner that sees Mario moving forward continuously. 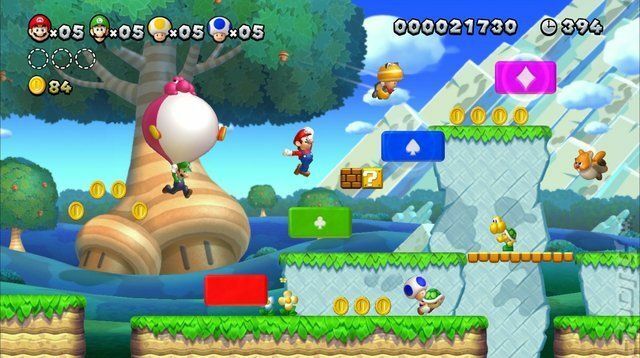 It uses a very simple touch-centric control system, where depending on how long you press the bottom of the touch screen, the higher Mario jumps. Ordinarily, Mario will vault over small block-high enemies and obstacles, but tapping the touch screen when he's over, say, a Goomba, will have him perform an acrobatic maneuver to gain him height. For such a simple control system, there is a lot you can do with Mario in Super Mario Run. 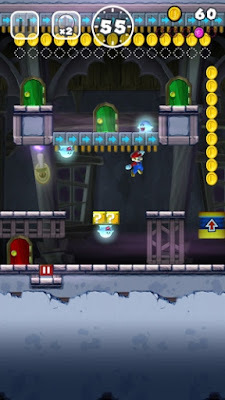 Like the New Super Mario Bros. games, Mario has the ability to wall jump, something that is a major importance in clearing some levels or accessing hard-to-reach areas. 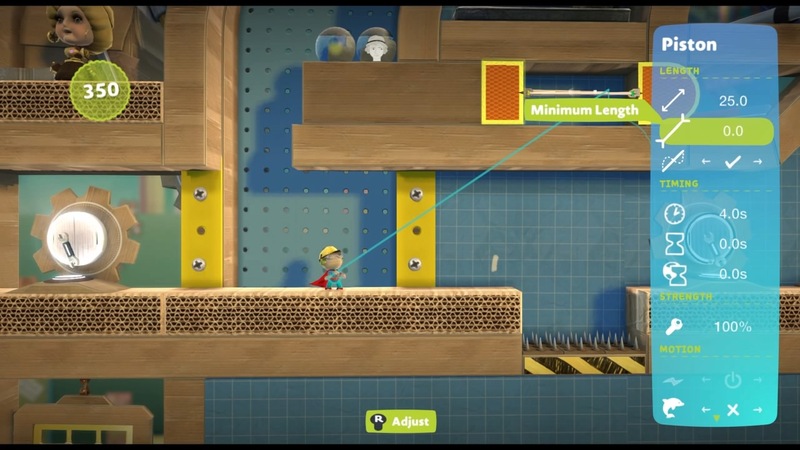 Timing your jumps efficiently makes reaching challenging coins and special areas possible, and getting a perfect run going feels absolutely awesome. 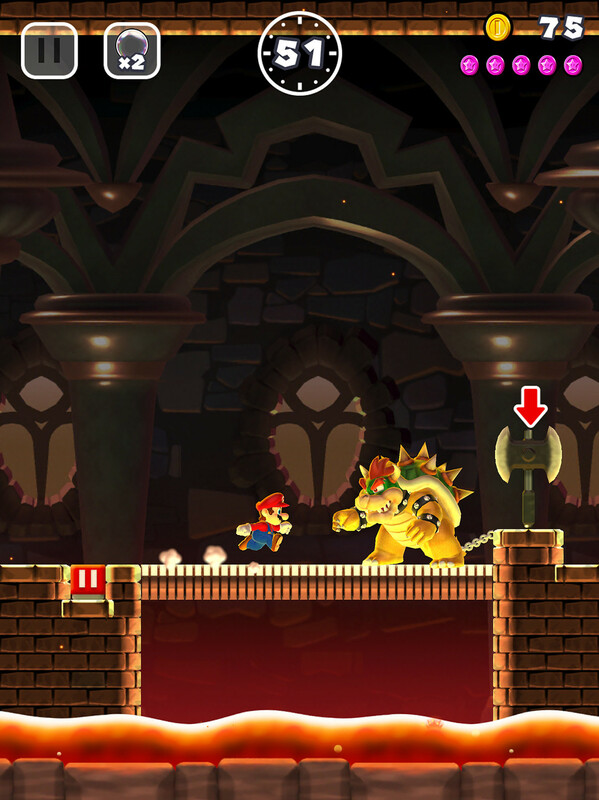 The goal of the 24+ levels in Super Mario Run is to simply make it the flagpole, or in the case of airship and castle levels, make it to the end and beat either series mainstays Boom Boom or Bowser in quick combat. 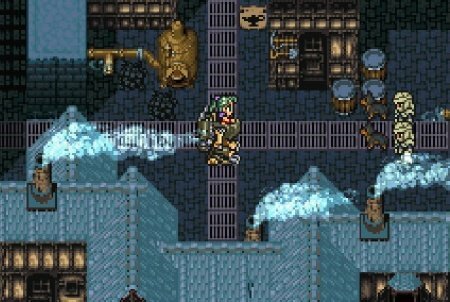 Generally, reaching the goal of a given level isn't too taxing, and most players should be able to do so. 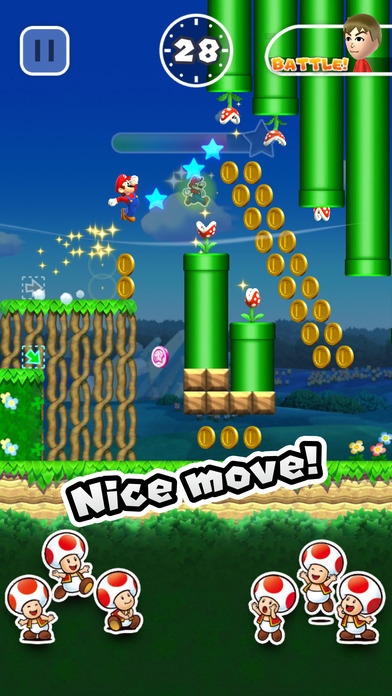 Unlike other games of the genre, Super Mario Run's levels feature many alternate paths and routes, allowing players to take advantage of them to score big coinage or other benefits. Death in a level results in having Mario become encased in a bubble, moving backward in a level. Pop the bubble, and you're placed back in the level. Just don't do it while the bubble is over a bottomless pit like I've done many a time! As long as you have an extra bubble in your arsenal, as seen on the top of the screen, you can continue the level if you die. Without a bubble, death means restarting the level over again after hearing the famous "you died" jingle from the Super Mario series. 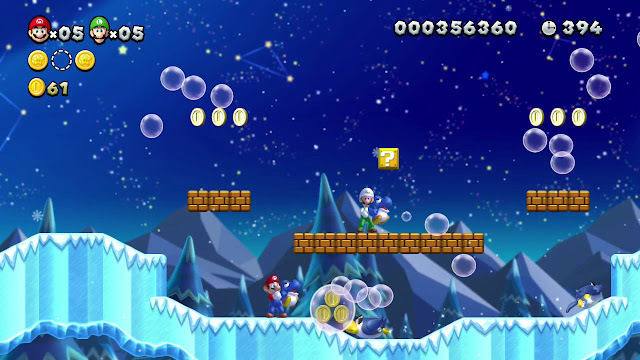 You can also forcefully use a bubble in case you miss an important item or wish to take a different route in a level. 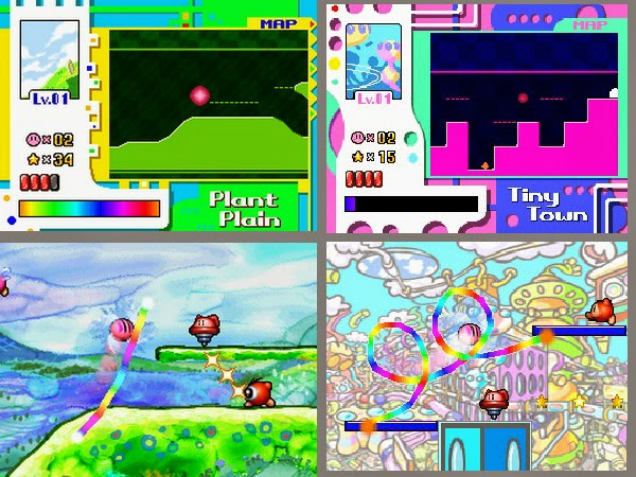 However, to add some longevity to the main mode, each level contains a batch of five pink coins that need to be collected in one run. 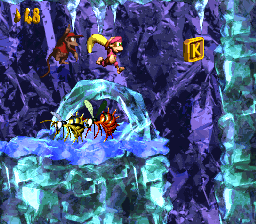 After collecting all pink levels in a level, then the harder-to-collect purple coins unlock, and after those have been collected in one run, a final series of five black coins unlock to collect. 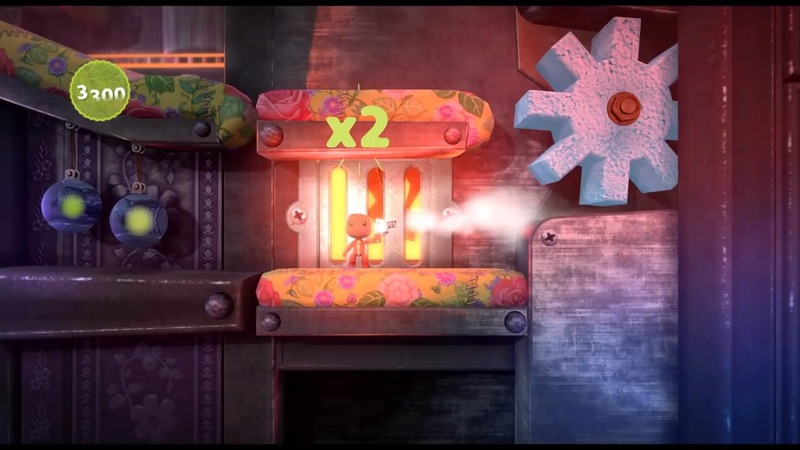 As you progress in collecting coins, you get to see the level design truly shine. Sometimes the level gets shaken up a little bit between colored coin collecting types. 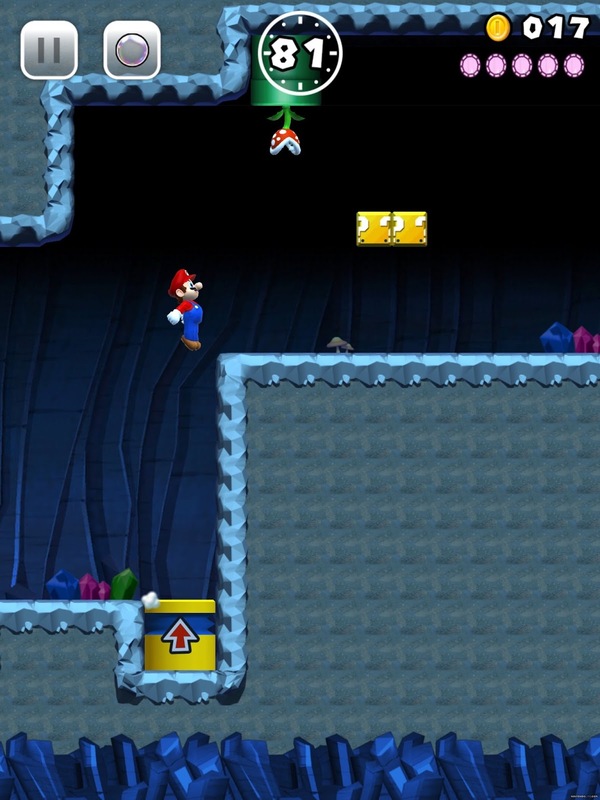 For instance, the first level in the game adds blocks to wall jump off of to collect one of the black coins. Collecting all of the three series of coins in all 24 levels is a mighty challenge to do, and they will not only put your platforming prowess (or lack thereof) to the test, but they'll really make you appreciate how clever and well put together the level design in Super Mario Run is. 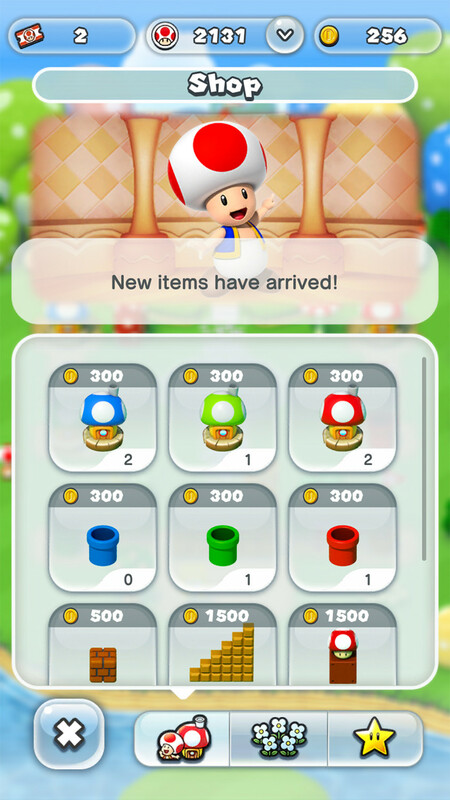 While collecting the differently colored coins is merely optional (though not if you wish to unlock the three extra-hard bonus levels), it makes sense to try to collect them. After all, if you're going to pay the atypically high for mobile $9.99 price point, you should probably want to get as much for your money as possible. Collecting the various colored coins will very much give you way more bang for your buck. Super Mario Run also features a side mode called Toad Rally. 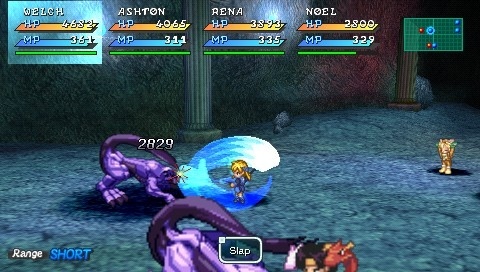 In it, you select from a series of five players and race against their ghost data in a given level. You can only play levels from worlds you've already beaten. 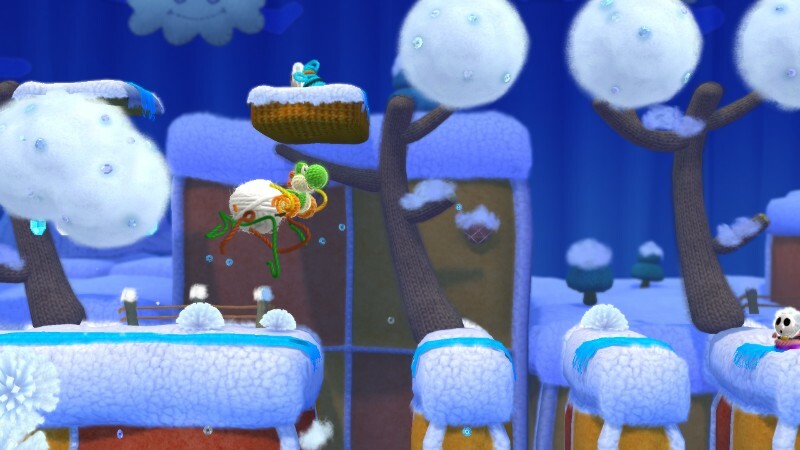 Levels don't have ends to them, rather they continuously loop, with the goal of collecting as many coins as possible, defeating as many enemies as possible, and performing as many tricks as possible to gain points and get the various Toads to root for you. Collect enough coins and defeat enough enemies, and you'll enter Coin Rush mode, where coins rain down like water for you to collect. The only issue I have with initiating Coin Rush is that there is a brief pause when Coin Rush mode is activated, which on more occasions than I would have liked, messed with my timing, sometimes resulting in falling into a bottomless pit, where Coin Rush is then abruptly ended. At the end of a Toad Rally, the player with the most points gets all of the collected Toads from the round. 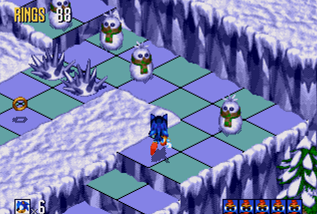 There are five colored varieties of Toads in all, and many are only available in specific level types, such as ghost houses or underground levels. Your collection of Toads add up to unlock new content in the Kingdom Builder portion of Super Mario Run, where you can use your coins to place Super Mario universe buildings and objects, some unlocking one of five bonus characters to play as. Earning more Toads means earning more buildings and objects to place in your ever-expanding kingdom. Super Mario Run's greatest problems arise from the $9.99 price point, which I talked about in an earlier article this week. Because of how Nintendo and DeNA set up the game, after playing the first four levels for free, a prompt to purchase the full game for $9.99 pops up. If the developers were more direct with the price point on the App Store, maybe having a demo version and then the full version, I feel that the sticker shock of the price wouldn't have been so massive to a great deal of iPhone and iPad users. Furthermore, the need to always be connected online with Super Mario Run makes for some inconvenience, especially to those here in the States where there is no signal in subways, a place where people travel quite often. For me, it wasn't a bother, as I just played at home, but it's a serious deterrent for buying the game for some. 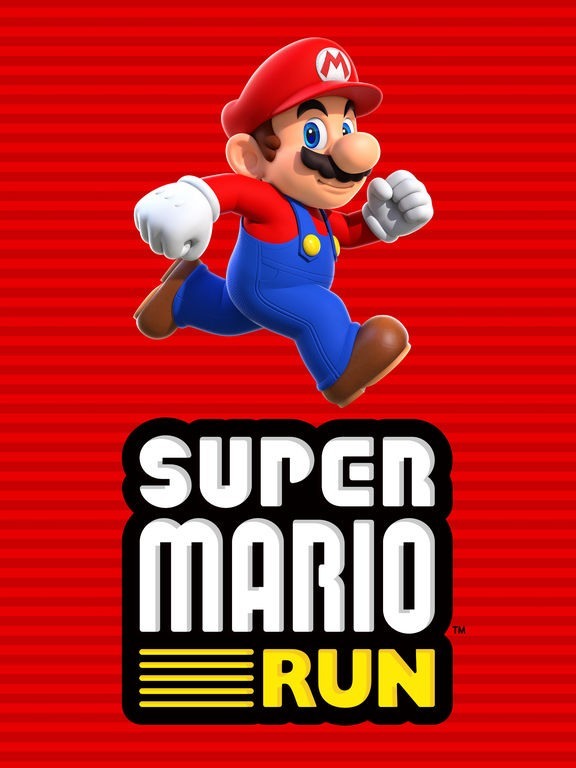 Being Nintendo's first paid piece of software on the App Store, I feel Super Mario Run successfully brings the Super Mario franchise and platforming fun the series is known for and makes it work in a unique way for mobile devices. 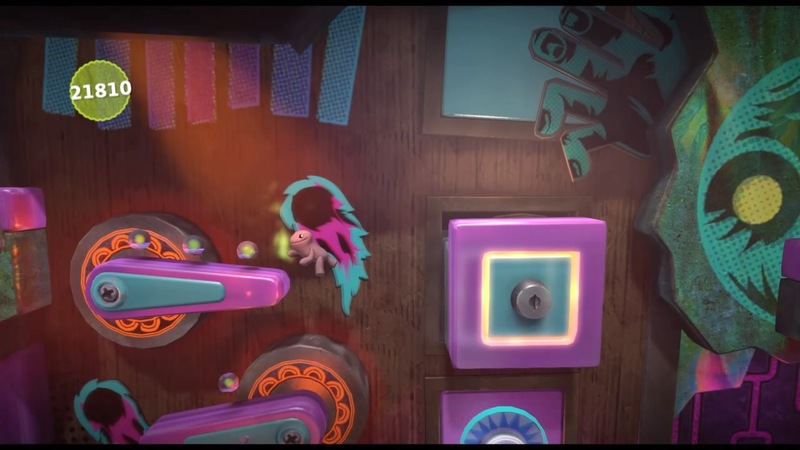 While you don't have the same freedom of control obviously, you do get a similar challenge, especially if you decide to get more bang for your buck and go for all of the pink, purple, and black coins in all of the levels. The price point and always-online requirement may be dissatisfying to some, but Mario's arrival on mobile devices is overall a massive success. Some games come by that you don't expect much out of, and then they blow you away. Zordix's Aqua Moto Racing Utopia is one of those. I expected a wholehearted effort that didn't have the same highs as my favorite waterborne racer, Wave Race 64. Fortunately, I am happy that my expectations were dead wrong. See how with the SuperPhillip Central review. These waters are anything but choppy. If you're like me (and God help you if you are), then you no doubt have a soft spot for Nintendo's Wave Race series, specifically the Nintendo 64 and GameCube versions, with a greater focus on the former. 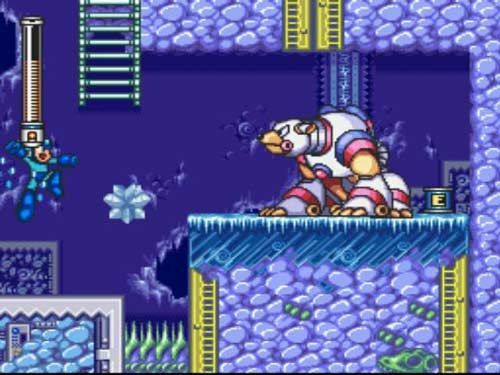 Since Nintendo continues to keep the franchise on hiatus, gamers like myself have yearned for some kind of experience that mirrors and feels like Wave Race. Perhaps it's a bit cliche to compare every jet ski racer to Wave Race, but the game for me is the gold standard when it comes to water racing games with superb wave physics. 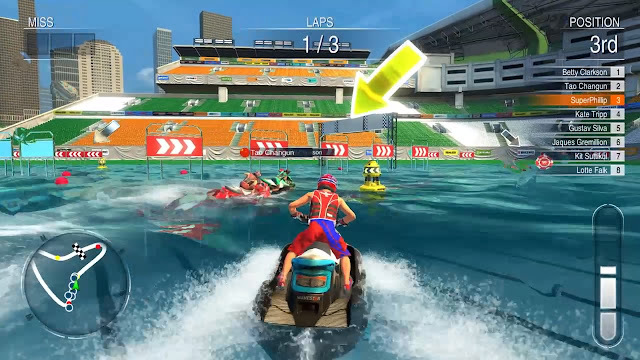 The Aqua Moto Racing franchise has seen releases on iOS and Nintendo 3DS with varying degrees of success. 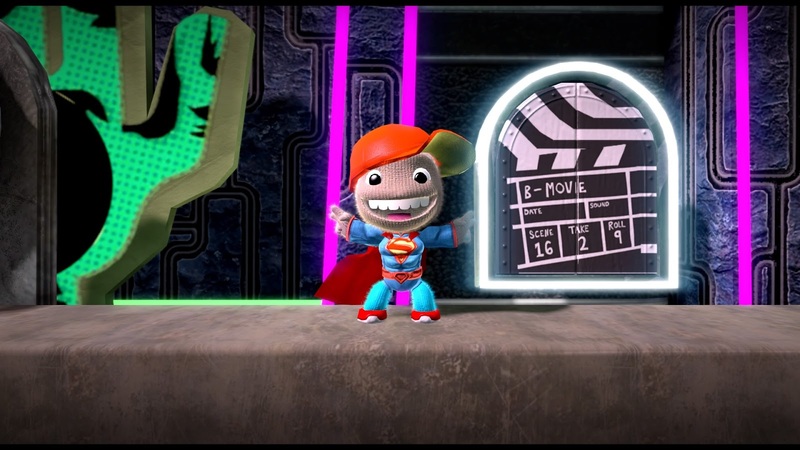 Now, Zordix brings us the latest entry in the franchise, this time on PlayStation 4, PC, and sooner or later (unless the version gets cancelled) the Wii U. It's Aqua Moto Racing Utopia, and while the entry price ($29,99 USD) might seem high, trust me when I say that for the most part, it's worth it. 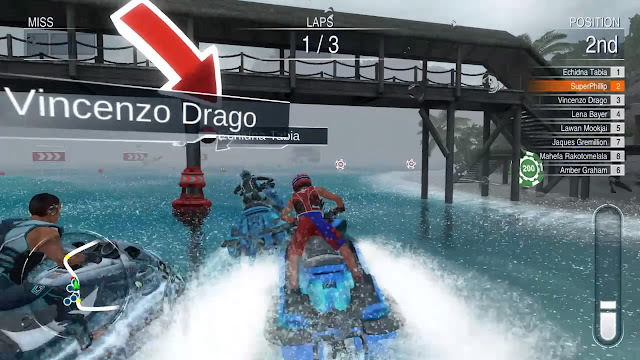 Aqua Moto Racing Utopia features a wide variety of modes to dive right into. First, however, you create your rider through a series of somewhat limited choices. I didn't particularly find the faces too attractive, so I just put a helmet over my rider. Then again, it's not like you're staring at your rider's face ever while racing anyway! After picking a nationality, a name, a face, an outfit, and a color scheme, you're good to go in your Aqua Moto Racing Utopia career. 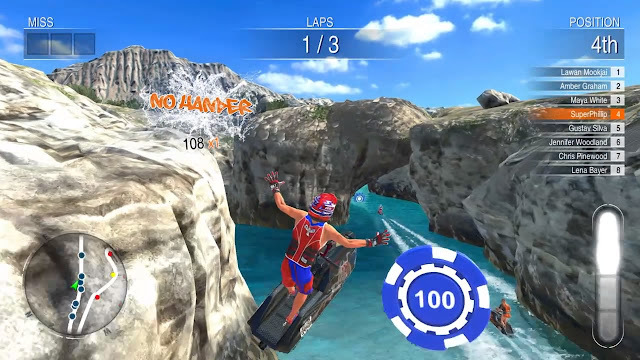 The main mode is the Championship, which comes in three varieties: one with heavy crafts, one with lighter and more mobile jet skis, and a trick-based championship. Each championship type has multiple cups to take on, each unlocking once the one before it has been completed. These race-centric championships generally have 3-5 races each. A great thing about the championships is that you just need to get place third overall to unlock the next championship. A further bonus is that you can restart a race without having to restart the cup. This means that messing up at a critical moment in a race won't cost you the entire cup. And you WILL mess up occasionally, either through human error or the AI pushing you off course. Championship Mode pits you against seven other racers across multiple difficulties and multiple cups. Races have you going along a track, passing by each colored buoy in order. You pass yellow buoys on the left and red buoys on the right. If you miss three buoys in a race, you're disqualified from the competition. Some races feature wide, breezy turns while others really force you to master tight cornering as you almost move from buoy to buoy like a slalom racer. Though there is a green arrow that points in the direction of the next buoy you need to pass, an extremely helpful map in the bottom left corner of the screen shows a zoomed in look at the track. This greatly assists in seeing where you're supposed to go (as many tracks are set in open waters), where red and yellow buoys are on the track, and where opponents are. Nothing like racing through alligator-infested waters to really prove your mettle as a daredevil. Depending on how closely you pass a buoy, you gain a portion of energy in your boost meter. Once it fills, you can press the X button to speed forward. Knowing when to boost and when to race conservatively can be the difference between a first-place win and an embarrassing off-podium defeat. Besides passing buoys to fill your boost meter, you can also perform tricks either on the water or in the air. The more complicated the trick, the greater your meter fills. Tricks involve the right stick and maneuvering it in various directions. While jumping off a ramp or a particularly huge wave, you can also hold down the left shoulder button to perform fast spins, flips, and even barrel rolls in conjunction with right stick tricks to gain an even bigger boost, as well as high scores in Freestyle competitions. 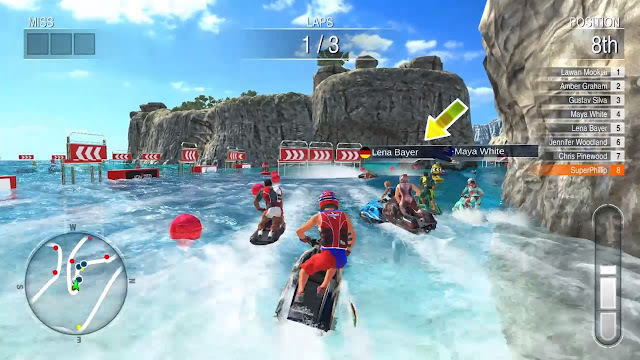 There are ten locales in Aqua Moto Racing Utopia, and these span various types of environments and feature different challenges and wave types. While the tropical paradise venue features calm waves, the oil rig showcases huge waves for serious air and trick potential. Other locales include arenas, stadiums, alligator-infested swamp lands, jungles, Asian cities, piers, and more. Each locale is an expansive area that in Leisure Mode, can be freely explored to your heart's content. Additionally, each locale possesses three to five different races in it, all containing different buoy placements, and all cordoning off specific sections of the venue to keep you on the right path. Some races feature tighter corridors than others, such as racing through these narrow canals. As you win championships, you earn money to be used to purchase new watercraft, and as you gain new ranks, new craft are able to be purchased. So, even if you're winding up off the podium at the end of a championship, you're still making money and progress to purchase better and improved watercraft. Outside of the Championship modes, there are Time Trials for every race in the game, which challenge you to really get a grip on each course, knowing the ins and outs, when to boost, when to take it easy, and when and where to find time-saving shortcuts. Some of the gold medal times are seriously difficult, and it's quite the accomplishment to earn a gold medal on all of the races. 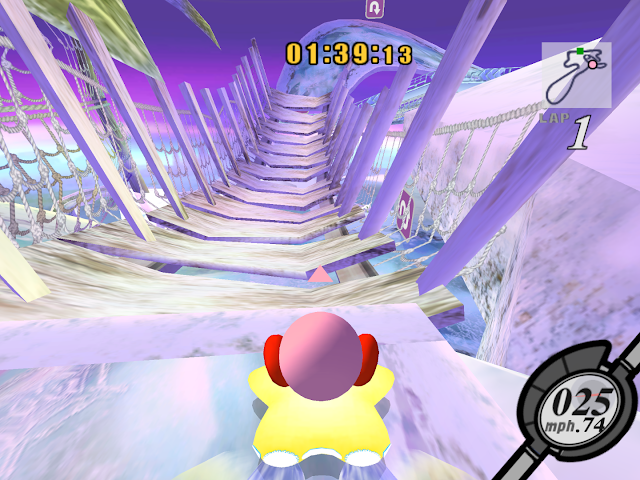 In addition to Time Trials, there are Freestyle events for each venue which task you with performing different tricks for points to try to earn a bronze, silver, or gold medal depending on your ending score. 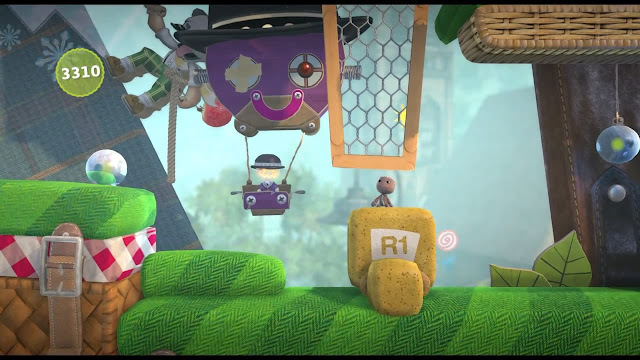 Finally, four-player splitscreen is included as well as online multiplayer. However, the latter, at least on the PlayStation 4, is a ghost town. The wave physics of Aqua Moto Racing Utopia work wonderfully well. Seldom does your craft ever unexpectedly take a wave in an odd way or angle. Some environmental obstacles can cause your craft to act strangely, but these incidents are so unusual that they aren't really a worry. Though, I will say that those damned alligators have made me crash more times than I would have liked! Take turns more sharply and easily by holding the L2 button. Aqua Moto Racing Utopia's racing controls seem almost, if not as close as those in Wave Race 64... or at least the GameCube's Blue Storm. Each watercraft feels like it has enough heft to it, but not too much heft, and turning feels delightfully natural. You can hold the L2 button while riding around turns to turn more sharply, great for buoys that are close by in a zigzag pattern and tight corners. As I said earlier, tricks are performed with using the right stick, holding it in one direction to perform a trick. You can also do various more involved tricks by flicking the right stick in one direction and then holding it in the other. Tricks can be performed on water, like your rider sitting on the handlebars of his or her watercraft, or in the air, like flips and spins. 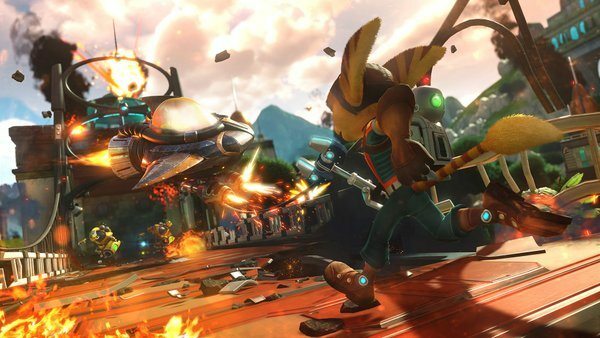 The main takeaway here is that many racers can be seriously frustrating with poor physics and poor controls. 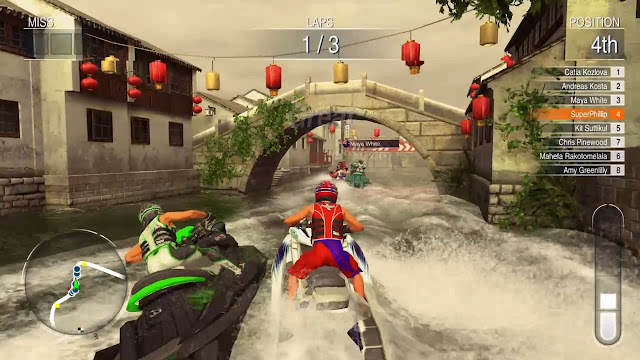 Aqua Moto Racing Utopia avoids this with natural physics and satisfying controls. All right, Vincenzo Drago. I think you've taken up enough of my screen's real estate. Time to eat my waves. 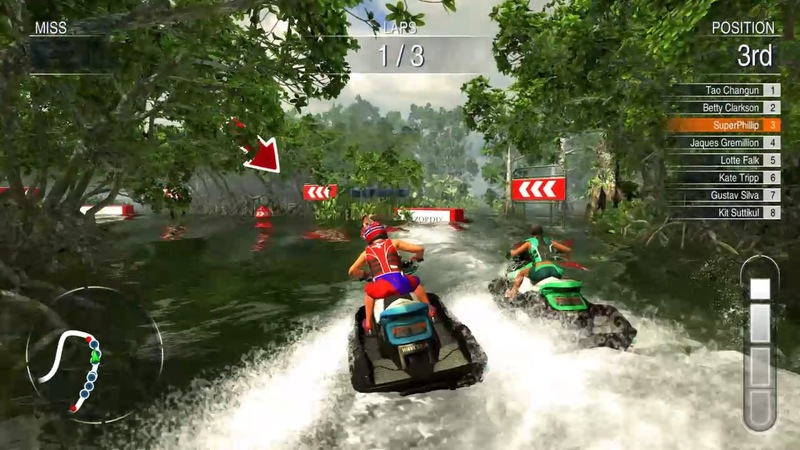 If you've been searching for a jet ski/watercraft racer that brings back memories of Wave Race 64, or if you're just looking for a stellar racer in general with plenty of challenge (but seldom unfair challenge), then Aqua Moto Racing Utopia is a game you should seriously consider purchasing. 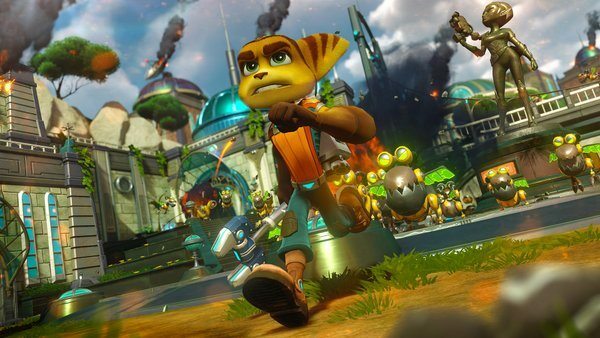 The amount of races is astounding, learning the ins and outs of said races is enjoyable, the AI is usually a good test for one's skill without resorting to rubber-banding, and the ability to play splitscreen multiplayer is fantastic to see. The high price point and empty online are things to consider, but overall, Aqua Moto Racing Utopia is a winner and earns a place on the podium. Review code provided by Zordix. Super Mario Run released this past Friday on the iOS App Store in a wide variety of countries. It was downloaded nearly 25 million times in its first four days and currently holds the number one position on the App Store in many territories. However, while somewhat a success, this didn't stop Nintendo's stock price from falling after Super Mario Run's release, regardless of how fickle investors and the stock market are. A main complaint about the game is its $9.99 price. However, a game on any other platform (i.e. 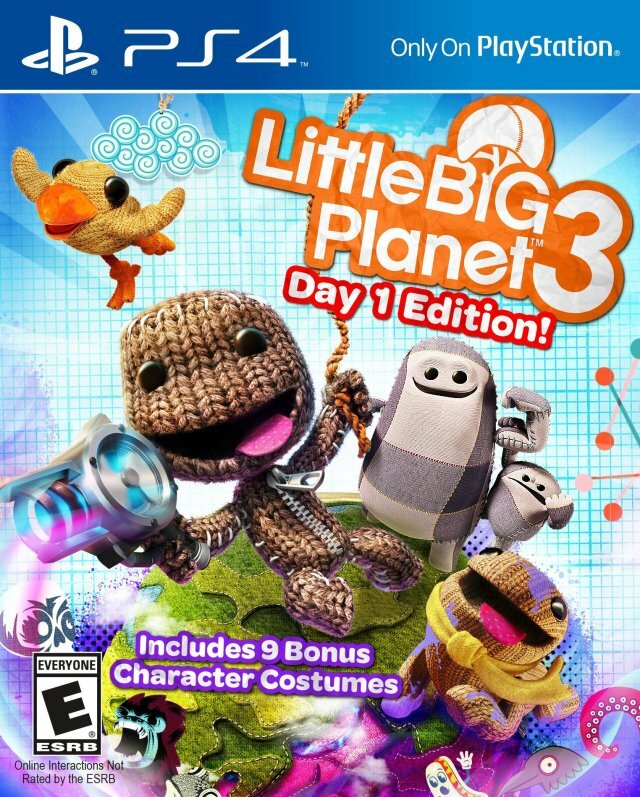 not mobile) would be comfortable with an asking price like this for a game with as much content as this, say on Wii U or Nintendo 3DS, for instance. The disparity between the console/handheld market and the mobile gaming market is tremendous, and the desire of mobile consumers for games to be cheap and/or free is one that hurts the medium immensely. 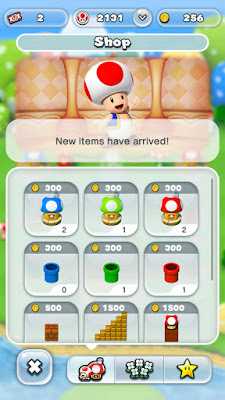 One of major things that disturbs me about the people complaining about the pricing of Super Mario Run is that they seem that they would be more satisfied if the game was free but riddled with microtransactions. It appears that a pricing model where players would be able to play a level or two, exhaust a play bar of some type, and then either wait for the bar to fill back up after some-odd amount of hours or pay to get more lives and time with the game. This makes me confused because I thought microtransactions were seen as a cancer to gaming. It's one of things that puts off a lot of gamers to mobile gaming. Going after whales (i.e. those who spend ridiculous amounts of money on otherwise free mobile games) was not Nintendo's M.O. Sure, its investors and stockholders would love for Nintendo to nickle and dime players because they don't really care if consumers are screwed over. They just want their bottom line improved, and their pockets made fuller and richer, but Nintendo made it clear what the pricing strategy was. Thus, it's strange how many gamers would have preferred it if Nintendo went with a more typical pricing formula. 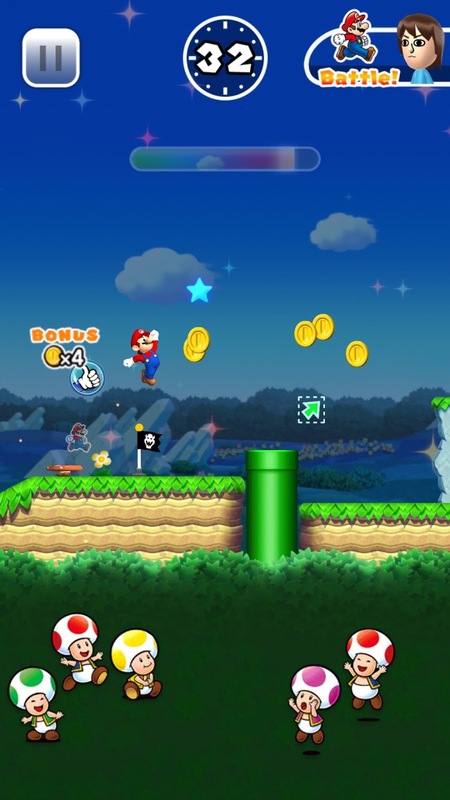 With a $10 one-time-only purchase, the full version of Super Mario Run is available. There's no need to wait for some annoying play bar to refill so you can continue playing the game or keep putting money into the game. That was Nintendo's intent to not con consumers. If you think the $10 price tag is too much, that's not the fault of Nintendo. It's the mobile market to blame here, where sizable games with tons of content and features are demanded by mobile consumers to either cost pennies or to be free. The latter is usually what this market desires. 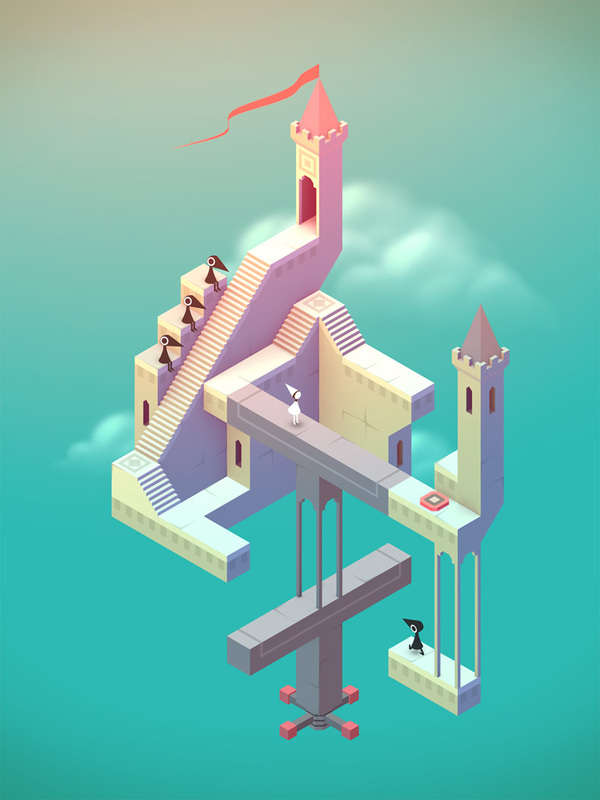 It's the mobile market that has continuously devalued games, making consumers feel entitled to cheap games no matter how much content and how much care was put into them. It is a market where people would rather spend dozens upon dozens of dollars on microtransactions and more plays instead of having a one-time cost that would give them the entirety of the game to play whenever they want (except on a subway or in an airplane-- those are no-nos thanks to the always-online requirement of Super Mario Run, a subject for another day). It's a frontier that is quite disheartening and more so very scary. We had people who paid for Monument Valley when it released a few years back on mobile (for a very low price, by the way), and then these same people felt cheated and furious because the developer dare add an expansive amount of content to the game in new levels for a tiny fee in order to make some money from the game's development. How dare they! How dare a developer ask for money for months, maybe years of work! When we have people wishing Nintendo had decided to stuff countless microtransactions instead of giving a full experience on the iPhone or iPad, it really shows how screwed up the mindset of mobile consumers and how crazy the mobile marketplace truly are. The majority of negative reviews of Super Mario Run complain about the game costing money. That's how bad it is on mobile-- people really do feel entitled to get everything free from the hard work, blood, sweat, and tears developers of all types making these types of games. And I'm talking about smaller devs who are nowhere near the behemoth size of Nintendo. While Pokemon GO was a success for Nintendo in that it got a lot of people re-energized with Pokemon, buying Nintendo 3DS systems for new and old Pokemon games-- something the late president of Nintendo Satoru Iwata wanted and why Nintendo went mobile in the first place-- it is of course yet to be seen if Super Mario Run will have such an effect on consumers. Regardless of whether you think Super Mario Run is a success, worth the asking price, or even a quality game, it's rather disappointing that a good sect of mobile gaming consumers want nothing for something, no matter how special, fun, or worth the price it is. 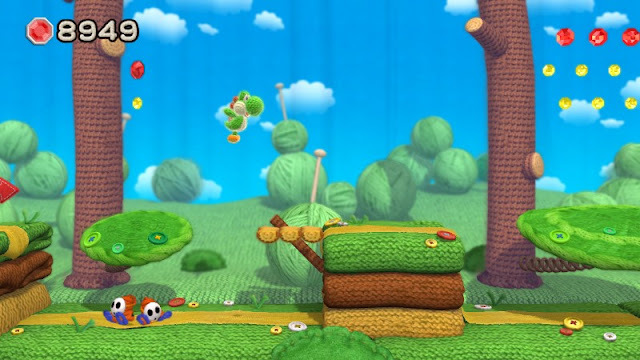 I'm looking forward to the Nintendo 3DS version of Yoshi's Woolly World, entitled Poochy & Yoshi's Woolly World, if for no other reason than to having an excuse to play through the adventure all over again. Yoshi's Woolly World on Wii U usurped Yoshi's Island's position for me as best Yoshi game. It'll be nice to revisit the game. This trailer from Nintendo UK's YouTube channel shows off some new features for the 3DS version of Yoshi's Woolly World. Check it out below.